MinXSS (pronounced as minks) #2 CubeSat has not broadcasted beacons (data packets) since January 7, 2019. This communication anomaly started when power cycling MinXSS-2 via uplink command in response to a single event latchup (SEL) on the MinXSS-2 Command and Data Handling (CDH) board earlier that date. A MinXSS-2 power cycle sequence had been executed successfully in December 2018, so we don’t expect the power cycling action to be the root cause for the anomaly. The two primary suspects for this anomaly are that the on-board SD-card was corrupted by the SEL or that the CDH processor was damaged by the SEL. It’s difficult to test the MinXSS FlatSat to identify which suspect is more likely. One scenario was found with ground testing that a corrupted SD-card could cause a constant reboot cycle in the MinXSS FlatSat. Our expectation for MinXSS-2 state is that MinXSS-2 is slowly tumbling because the Attitude Determination and Control System (ADCS) was turned off as part of the power cycle sequence. The instruments are also turned off as part of the power cycle sequence. MinXSS-2 does not appear to be accepting any uplink commands since this anomaly started. LASP has previously had two other CubeSats lose communication and then come back to life after a few months when its battery’s voltage was low enough to force a system power cycle. The MinXSS team continues to send recovery commands to MinXSS-2 and is dedicated to watching for MinXSS-2 beacons for that phoenix moment. 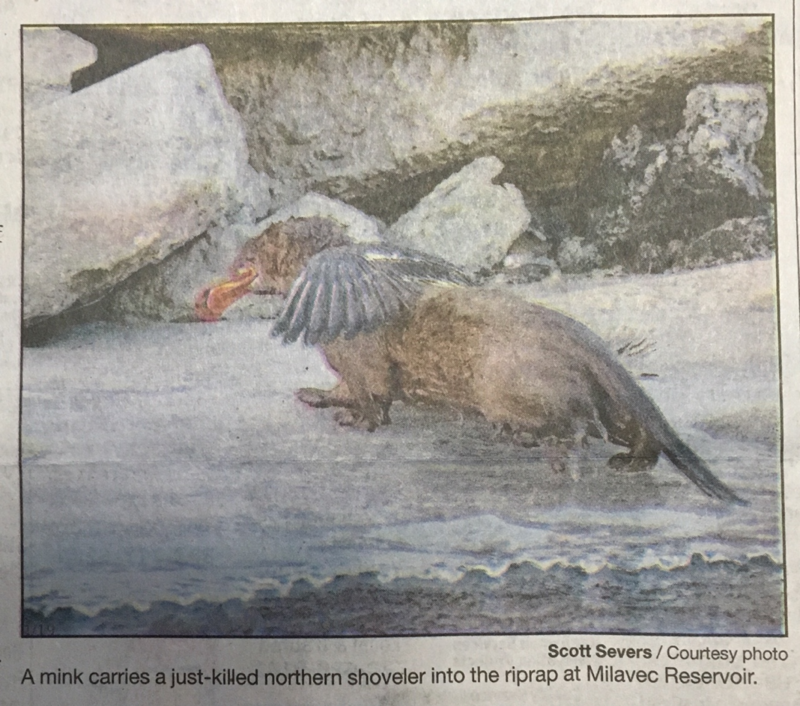 A phoenix-looking mink was photographed recently at Milavec Reservoir outside of Boulder. The photograph was published in the Boulder Daily Camera on February 12, 2019.